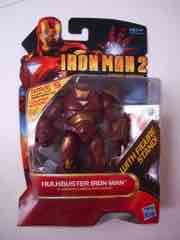 For whatever reason Hasbro made not one, but two figures based on the Iron Man Hulkbuster Armor. 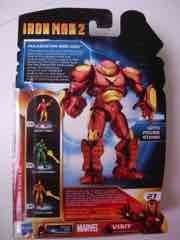 One (this one) shares many parts with the comic series Iron Monger figure. The other seems to be mostly new parts, and was part of a Kmart exclusive 3-pack... which at press time we have not had a chance to play with. So we'll just look at this one. 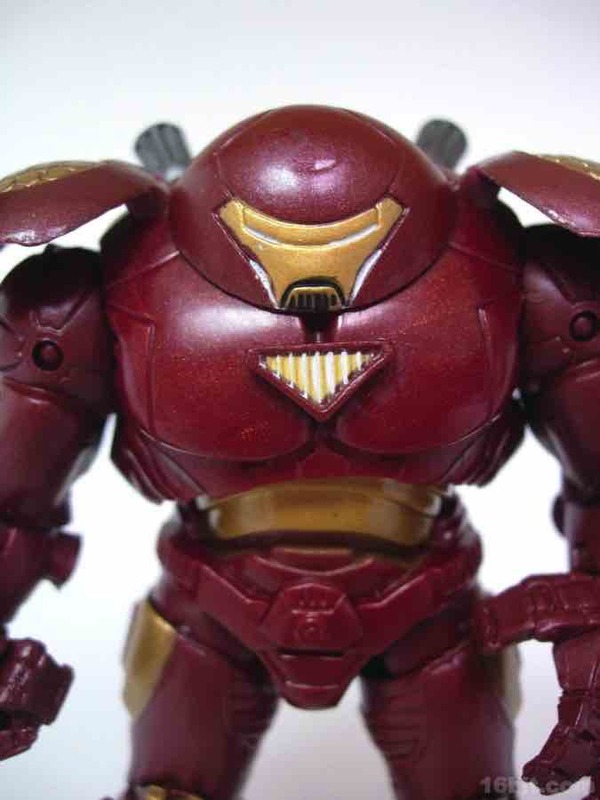 While bulky as all get-out, the rotund Hulkbuster armor was specifically designed so that Tony Stark could fight the green menace without being torn to bits-- that's why the helmet is so wide, it (in theory) prevents Banner from g.shtmling it and ripping it off. The suit has three fingers, tons of detail, and shares most of its construction with the previously examined Iron Monger. The head, hands, and feet show the most differences, but the core body plus the arms and legs are pretty much the same. 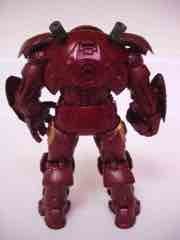 Like the Iron Monger, the figure has some wonky leg joints which require significant futzing to work. Want to get him to sit down? Too bad. Expect to spend some serious time rotating various pieces just right to get him to do much other than stand the way he was assembled-- which does vary from figure to figure, with all the rotating bits. 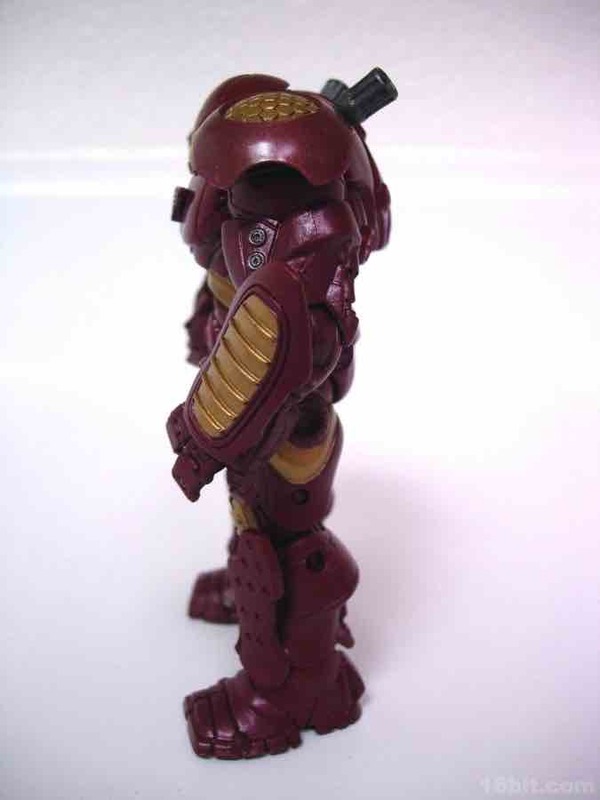 Like most figures, if you're willing to give him a little work he'll share some slightly better poses with you. 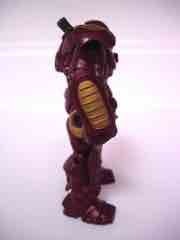 Still, he's going to look best just standing around so don't be sheepish if you just leave him in the package. You aren't missing too much. 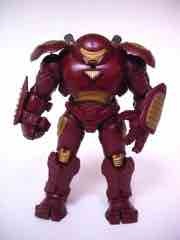 The very notion of a hero figure designed to fight and/or kill another hero figure is a little bizarre, and who but Iron Man-- except of course Batman-- might do this? 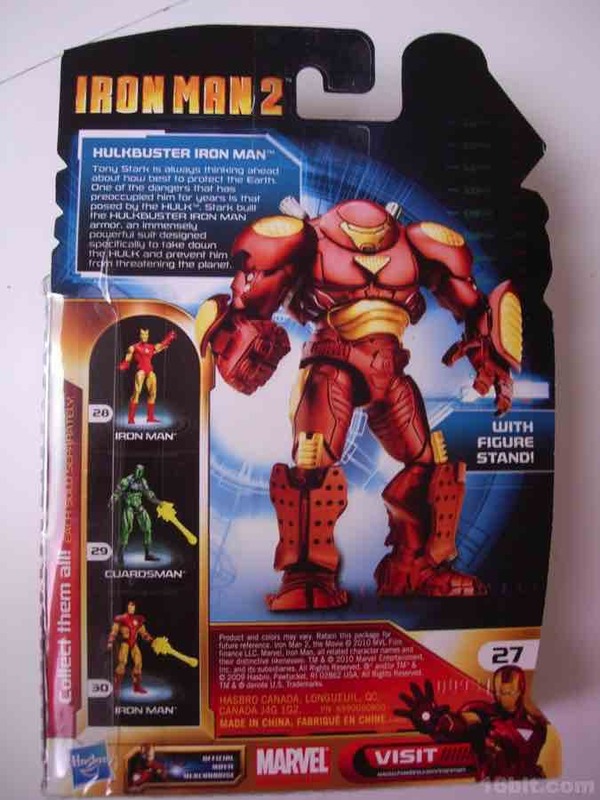 Since the figure has no action figures to speak of, like crazy punches or some anti-Hulk grip, what you see is pretty much what you get. The armor restricts some motion, but the chief play pattern of this toy is going to be your looking at it. There's not a lot of action to be had, but on the bright side it does look pretty good and the gold paint seems to stay on much better than other movie figures. (In my findings, a lot of the gold easily melts or scrapes off.) Be careful with this one, it's just about perfect to stand on your desk and fight.